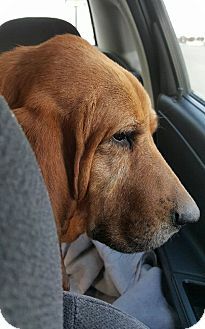 Description: BUFORD...our hearts break for this dear, sweet, old man. Dolly's Legacy rescued him from life in an outdoor pen where an elderly couple resided with nearly 100 dogs, having been dumped on their property. Buford had a small pen with an old dog house. Rescuers came on the scene and reached out for our help. We saw Buford's face and knew we had to save him. He deserves a good life in a loving home where he will be treated like royalty. How could anyone not love him? That face will melt your heart a hundred times over. He is sweet as he is handsome. He loves to give big kisses and is a 'leaner', and will stay right at your side. He is happy in the company of other dogs & is fine with cats (curious about them, but ignores & doesn't chase). He is great with people of all ages. We just want someone to take him home, love him as much as we do, and give him a truly great life. He deserves it. 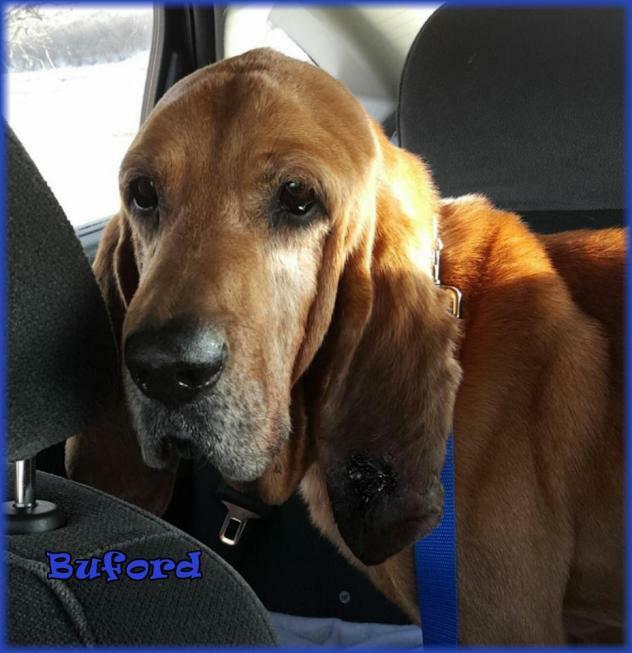 Buford is an older gentleman, possibly 10 yrs old. 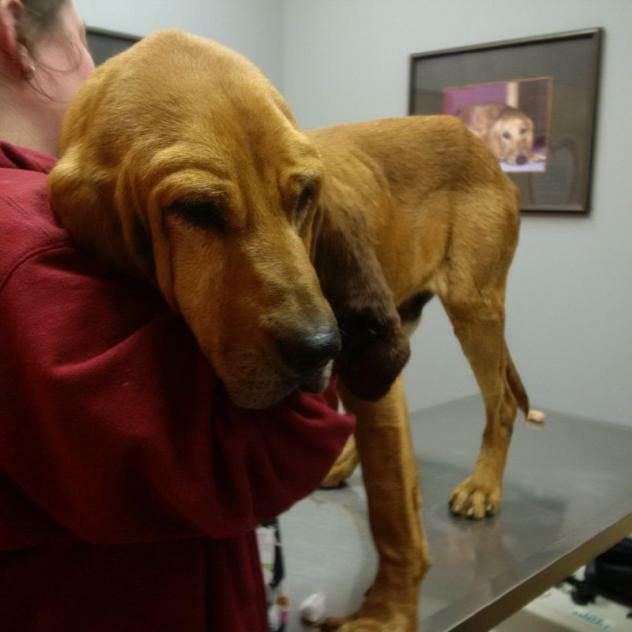 Appears to be a Bloodhound but possibly a Redbone Coonhound. 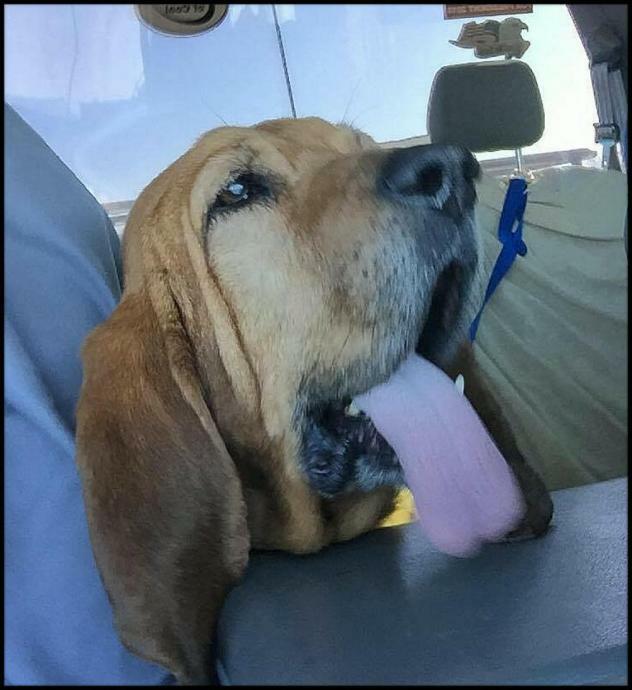 He is neutered, vaccinated, microchipped, and heartworm negative. Adoption fee is $175 . For adoption guidelines and to submit an application, please go to this link: http://dollyslegacyanimalrescue.org/adopt/ We are a foster-home based rescue group and do not have a facility. The first step is to have you complete our online adoption application. All adoption appointments are scheduled after your application has been approved. We are 100% volunteers & will generally reply within 3 days of application submission. PLEASE be sure to answer all questions completely or it will delay processing, be sure to include vet phone#. If you have any questions please email DollysLegacy@aol.com. Please 'LIKE' our facebook page to learn more about our rescue, see more pictures & get updates on all our adoptable pets!